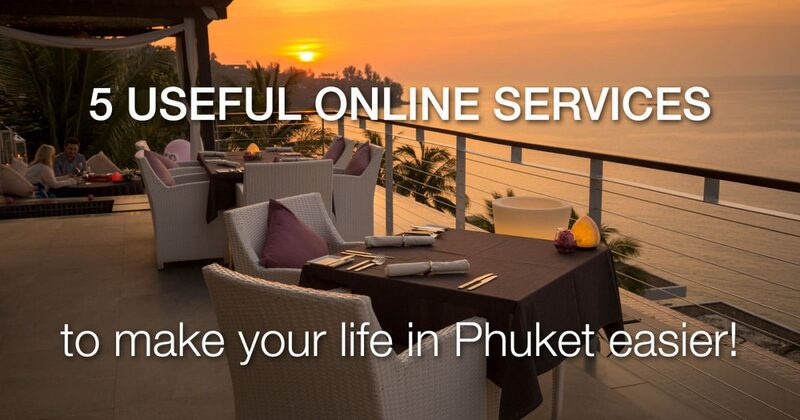 Here is a list of useful online services we came in contact recently that will make your life in Phuket easier. With the fast evolution of mobile apps and customized services it is not surprise that more and more services become available. Some may think it’s a waste of money, but sometimes your time is precious and you should take advantage of these. If you live on Phuket island, food will never be a problem. It’s everywhere, cheap if you are on budget, sophisticated when you need it. Occasionally you will be so busy or sick or for some reason, unable to go out or to send someone to get some lunch or dinner. Or maybe you are plain lazy and there is nothing wrong about it. We were a bit of all the above, super lazy, super busy and there is no street food near our house. That’s when WeServe gets handy! WeServe is connected to large collection of restaurants around the island. Check the well illustrated online the menu, order and a driver will deliver the food at your door. You can choose to pay cash or by credit card. Website is in Thai, English and Chinese, well designed, well illustrated and very easy to use. Most people are familiar with Grab, an app that allows to hail a taxi via your mobile phone. What most people don’t know it’s that Grab is widely available around most beaches in Phuket and cheaper than Tuk Tuks. We recommend you to download it before arriving. Play with the app when you have a bit of free tie to familiarize with it but also to see how many taxis are available around your hotel. It’s a good peace of mind. Other useful hint: Grab app gives you an estimate on how much a ride should cost so you are better armed if you have to ride a tuk tuk! Just enter your destination and you can get an estimate of the price. Grab now allows you to pay by cash or to enter your credit card (which you should enter early to be ready). BeNeat offer this service, one time big cleaning or regular services. It’s all about quality of service, value for money and of course safety. For normal cleaning price is 250 Baht per hour – https://www.beneat.co/pricing – you can even select a cleaner by checking the amount of job done in the past, and the reviews from the customers. The service also comes with an insurance… good to know. There is even an app to book as you go! 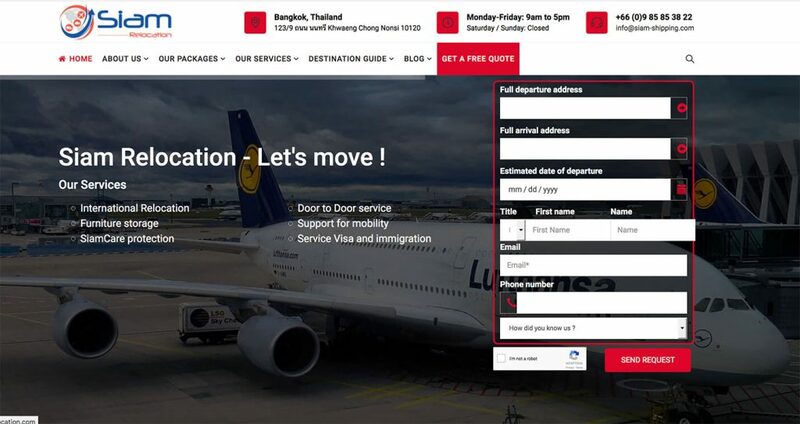 If you plan to move from overseas to Phuket or like us you keep moving from Bangkok to Phuket back and forth, you will need some help to move your stuff. It’s amazing how fast we accumulate things! Each time we move, it takes a bigger truck. But moving or shipping can take many forms: Moving the content of your house is the biggest but you might also want to send personal belonging, small or large. It can be from or to your country, it can be domestic. Maybe you went shopping and you realized you couldn’t fit this in your suitcase. You have a shop at home and you want to buy items to sell once home. We talked with Siam Relocation. Moving from or to a country. How does it work if I move from Europe to Phuket and we want everything wrapped and taken care of. We do provide what we call “Door to door” service (or All-inclusive move). In this case we will handle every steps of your relocation: packing at the departure, loading of belongings, export charges (documents, declaration..), international freight*, customs clearance, delivery & unpacking/unloading at the arrival. Our strength is our ability to adapt our offer to our customer’s budget need. Here you will find further information about our ECO Package: https://siam-relocation.com/low-cost-move-thailand/ . Basically, the customer handle the packing & loading part and can save more than 30/40% on his quotation. It will be the exact same process explained just above. The only one difference is that domestic move doesn’t require export & import process (mainly customs clearance). Obviously, shipment will be done by truck & could be done under an ECO package as well as a Premium Package. Someone bought too many items, can you ship small size objects domestic and overseas. We can handle every kind of shipment but please note that we are not specialized on small parcels shipments (below 20kgs). In this case, it will be more attractive to contact directly company such EMS, DHL, TNT… (& compare). All every items, we are able to handle it: packing, license, shipment.. Someone wants to buy items in Thailand and ship them to sell in their shop in USA. If they want to send goods for commercial purposes, an export license is required. 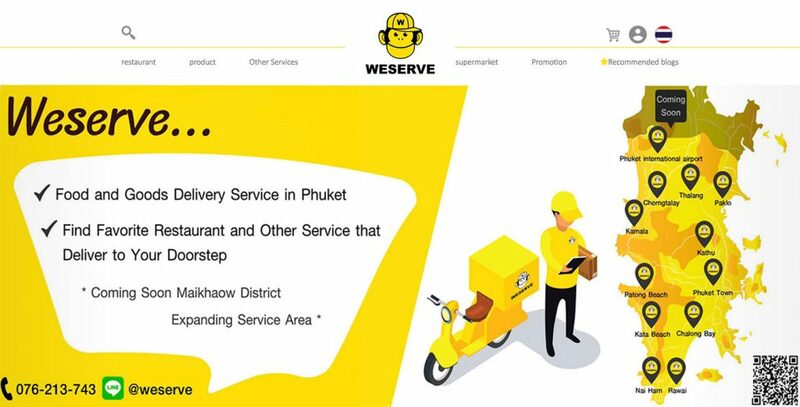 Again, we can provide door to door service and if the customer doesn’t have any license, we can even provide it, charging an additional fee to the Customer. Please note as mentioned above that very small parcels (below 20kgs) are not really our strength (even if we can definitely handle it). Shipping price is a question of size, weight and destination + How do you handle the customs and import taxes. Price will depend of volume/weight, destination & additional services needed such packing, export license, loading services… Regarding customs, we handle all the steps, we basically just ask customers to pay taxes while belongings reach customs at arrival. (We do provide official customs bill to our customer). We have used Chope for a long time now, and found it most convenient. Phuket food scene is evolving fast and is becoming more and more sophisticated. Most people stay for while and enjoy local restaurants, but once in a while they want to go to a special place for a special occasion. In some of the most popular restaurants on the island, it is recommended to book in advance to avoid a bad surprise. Imagine taking your loved one to a romantic seafront restaurant… and being turned away because restaurant is full! How embarrassing. Booking in advance might also allow you to secure the best table and get you some rewards. 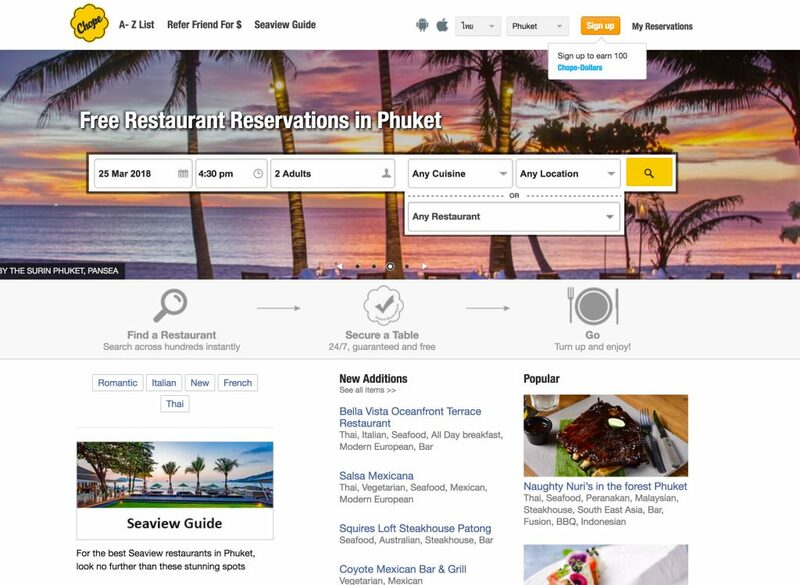 Chope allows you to book online so there is no surprise and no language barrier. In addition they have a point system that get you some rewards. Naithon Beach ▷ What to Do in Naithon Beach?